After only fifteen minutes of tinkering, I found the roughly thirty insane things that need to happen, starting with Johnny Manziel looking like a capable NFL quarterback, for the Browns to sneak into the playoffs. I don't know whether to laugh or cry, but when I saw the Browns weren't technically eliminated, I had to figure out what sorcery could sneak them in. Not that I think there's a chance in hell. 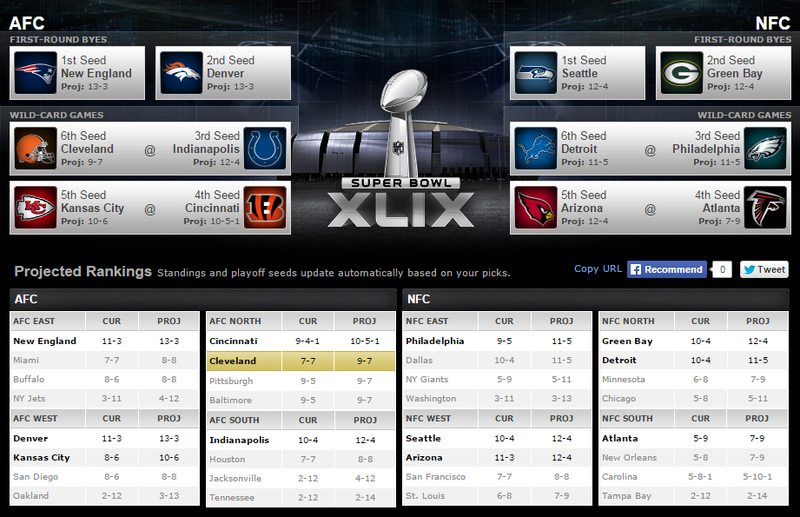 Here's the screenshot and scenario from ESPN's Playoff Machine.